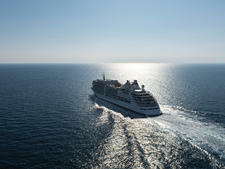 Silver Shadow delivers a fine balance of onboard service and outstanding shore experiences. 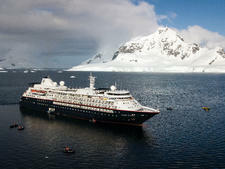 The 382-passenger ship is just big enough to provide multiple lounge, dining and entertainment options, and small enough for crew to quickly learn passengers' names and preferences. 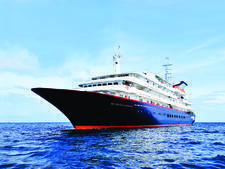 Built in 2000 with its last major refurbishment in 2011, this well-maintained ship has beautiful bones. Rich teak and shiny brass accents abound. 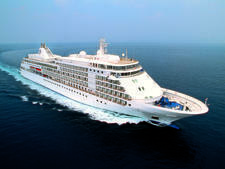 In late 2016, Silver Shadow underwent a much-needed refreshment. Upholstery and carpeting in public areas and in the bigger suites were redone. (The swirl-patterned carpeting in passenger hallways and some public corridors adds needed pizzazz.) Parquet floors throughout the ship were refinished and gleam like new. All accommodations are suites, chock-full of amenities like Pratesi linens and Bulgari toiletries. Colors tend toward subdued shades of beige, brown, blue and burgundy -- staid and classic. Onboard activities are plentiful. Bridge-players -- and there are many -- schmooze in the Card Room. Exercise fiends enjoy jogging on Deck 10 and working out in the well-equipped fitness center. The small but efficient Spa at Silversea and beauty salon offer an impressive array of services. Retired diplomats and other distinguished guests provide comprehensive port-related lectures. An art expert presents knowledgeable lectures while soft-selling high-end original sculptures, paintings and lithographs by the likes of Picasso, Matisse and Dali. These experts, usually gallery owners, possess genuine passion for their subjects. Dining is varied and includes every option from fine Italian cuisine starring handmade pastas -– a Silver Shadow highlight -- to grill-your-own-steaks alfresco and sophisticated French fare. The overall culinary style is modern international. Yet expect some pleasant throwbacks, such as bouillon at 11 a.m. and proper afternoon tea at 4. Suites come in eight categories, from 287-square-foot cabins with picture windows to the near 1,000-square-foot Grand and Owner's Suites with big private verandas. Don't expect high-tech amenities or even lots of outlets. Amenities aren't trendy -- no Nespresso machines in every suite, for instance, all the rage with some luxury lines. 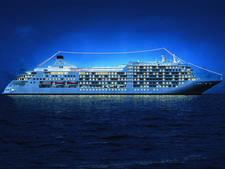 Silversea sticks to Illy espresso-makers (this is an Italian line, after all) and only in the biggest suites. About as cutting-edge as Silver Whisper gets are the complimentary magazines and newspapers you can read on smartphones and tablets by downloading a Silversea app. Those not particularly tech-savvy find the absence most comforting; others may be disappointed. Butlers for every passenger make a giant difference in the onboard experience and truly distinguish Silversea from its competition. It seems they improve each year fleetwide. They more than fulfill requests -- they anticipate every need, from preparing a hot bubble bath on your return from a long shore excursion to whisking away dusty shoes and returning them polished. 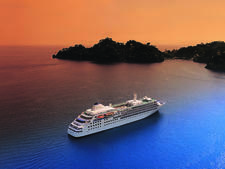 Overall, Silver Shadow lacks the flair of new luxury ships -- the glam opulence of Regent Seven Seas Explorer or the sleek sexiness of Seabourn Encore. 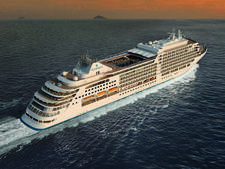 Sister-ship Silver Spirit has more dining variety, more evening entertainment and a more vibrant design. On Shadow, significant nightlife, such as razzle-dazzle shows or even guest musicians, is absent. Yet for this ship's devotees, it's perfect. 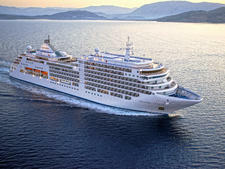 Silver Shadow attracts those who think more old school than new -- at least, in cruise style. They choose Shadow for exquisite personalized service, spacious suites and the opportunity to travel to appealing ports in comfort and ease. Passengers are affluent and well-traveled. 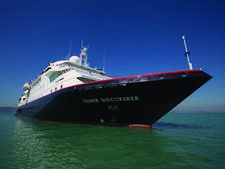 Many are Silversea aficionados; it's easy to meet passengers who have sailed six or seven times with Silversea and proud of it. Most are couples in their mid-50s to early 80s. They are also international -- primarily Americans, yet with many passengers from the U.K., Australia and Europe. Most are friendly and inquisitive, and love swapping travel stories. Silver Shadow follows a more traditional dress code. On a 12-day cruise, there are two formal nights, requiring dark suit and tie or tuxedo for gentleman, and fancy cocktail dress or silk pants suit for women. However, tuxedos are rarely spotted. Many nights are informal, with jackets (ties optional) for men, and dresses or nice pants outfits for ladies. 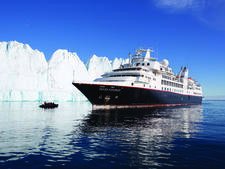 On busy excursion days, and the first and last evening of every cruise, casual attire, such as collared shirts and slacks for men and sundresses or casual pants outfits for women, rule. Shorts, jeans and flip-flops are a no-go at dinnertime anywhere. (Although on the last night, passengers usually wear whatever they want.) Pool deck dining is always casual, and the dressiest it gets in La Terrazza (the buffet by day, Italian restaurant by night) is informal. Cruises include meals, snacks, room service, alcohol (except for Connoisseurs List beverages), laundry room use and gratuities. Passengers get limited amounts of complimentary Wi-Fi based on cabin category, with higher-category cabins receiving unlimited internet access. The only additional costs are for shore excursions, spa and beauty salon treatments (tipping is included in the fees), fitness trainer, cigars and laundry and dry cleaning service (complimentary for top suites). The onboard currency is the U.S. dollar.